Before we had kids, I spent a lot of time going to movies. Marshall was at school or studying all.the.time. and I found out that I could go to the movies on Tuesdays for $5 including a giant drink and popcorn. For $7.50, I could see two movies. (They don’t offer that any more, by the way. How sad.) And once I’d seen everything at the regular theater, I’d hit up the cheap theater for movies I’d missed or wanted to see again. Despite how much I love Debra Messing, I’d somehow missed “The Wedding Date” (which is a cheesy but adorable movie, by the way) and I vividly remember sitting in the cheap theater, grinning like a fool at the final scenes when “Save the Last Dance for Me” started playing. I immediately fell in love with that smooth, cool voice. I just had to find out who was singing that song! This was before I had a smart phone, but I rushed home and searched. It was also before I bought music online, and the next morning I went to the store and bought my first Bublé album. I was hooked. It didn’t take long for me to get Marshall’s toes tapping along to the album, and we’ve been big fans since. This past Christmas we DVRed the Bublé Christmas special on TV and all six of us sat down and watched it together. A few weeks later we were on vacation in a mountain chalet. They had a handful of CDs available and one of them was Bublé’s 2009 album. While we were cooking dinner one night, Marshall started dancing with the baby and singing along. (If you know Marsh, that’s not his usual style). Marshall’s a good singer, but I didn’t expect him to hit that high note in “You’re Nobody Till Somebody Loves You”. And then a few weeks ago I shared this video on Facebook and all my Bublé-fan friends fell even more in love with Michael Bublé than they already were. I mean, how could you not? (Okay, so his good looks don’t hurt either). So when the opportunity came to review his new album, I was the first to sign up! I downloaded it immediately and we hopped in the car on the way to the beach. Here’s the thing. I’m a car singer. Like a really loud and active car singer. And listening to a new CD is usually hard for me because I’m loving it, but I don’t know the words yet! But this album? It’s got some really great songs you probably already know sprinkled throughout: “You Make Me Feel So Young”, “To Love Somebody”, “Come Dance With Me”, “Have I Told You Lately That I Love You” (which is different, but good), and even the title track “To Be Loved”. I loved all the songs, but the overwhelming favorite from the 8 & under crowd was “You’ve Got A Friend In Me”. I think we can attribute that to Toy Story! The song that surprised me the most is the duet with Reece Witherspoon. She’s adorable and her sweet voice complements Michael’s so well! It quickly became one of my personal favorites. But I think my absolute favorite is “Close Your Eyes” (because I’m a giant cheeseball). You just can’t go wrong with this album. I dare you to listen to it and not smile and maybe even dance a little. 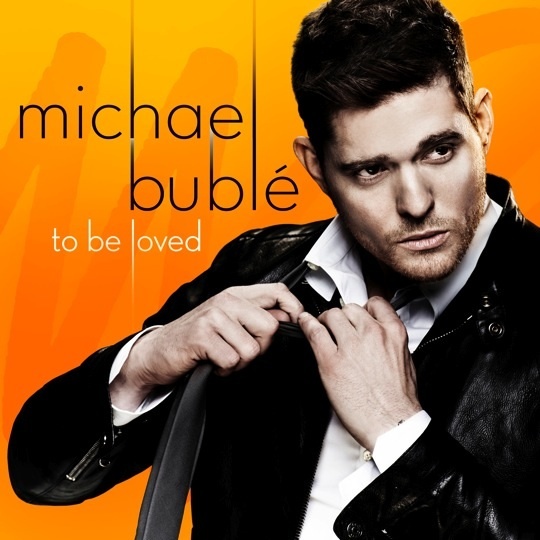 You can download Michael’s album “To Be Loved” on iTunes or Amazon. Disclaimer: I participated in this campaign for One2One Network. I received a free copy of the album to review. By posting, I am eligible for incentives. All opinions are, as always, 100% my very own. I’m impressed, I have to admit. It’s not every day you come across a blog that’s this good on web 2.